Bob Cousy, also known as the “Houdini of the Hardwood,” named after magician Harry Houdini says much about his style of play and how he became one of the pioneers of modern basketball. Former Celtics owner Walter Brown described him, “Bob Cousy is to basketball what Babe Ruth was to baseball.” What is it that made Cousy such an innovator and one of basketball’s greatest players? Just as in business, the secret to being successful is much in the person that you are and what you do with your opportunities. Robert Joseph Cousy grew up on the east side of Manhattan in a neighborhood called Yorkville in the midst of the Great Depression. Both of his parents were French immigrants. Cousy spoke French in the home up until he started attending grade school. Because of the rough economic situation and the neighborhood which he was from, Cousy grew up playing stick ball and other games with minorities of the melting pot of New York City. These experiences ingrained in him a strong anti-racist sentiment, an attitude he prominently promoted during his professional career. Cousy began to take up basketball at the age of 13 just before entering high school. Believe it or not, the first two years of his high school career, Bob was cut from the basketball team. That same year he fell out of a tree and broke his right hand. Eager to make the team Cousy practiced and trained with his left hand effectively making him ambidextrous. The high school coaches took notice of his mastery of the game with both hands and put him on the team. Cousy did not fail to impress and was looked at by several colleges in the New England area. He chose to attend Holy Cross in Worchester, Massachusetts where he took the Crusaders to a NCAA National Championship title and he became a three time All-American. Entrepreneurs are pioneers, leaders, innovators and inventors. They are dreamers and most importantly, they are doers. Bob Cousy had the determination to be great and to push himself to try new things. He experienced everything from failing to make the basketball team twice during high school to pushing the tempo of the game in the NBA and inventing the fast break. He was not scared to try new things. He was a risk taker. He would try that through the legs dribble to beat two defenders or the behind the back pass to add a little bit of flare. 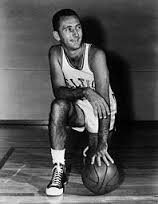 Cousy was passed up by the Boston Celtics at the time of the 1950 NBA draft. He was certainly known for his flare and ability to finish in big game situations. As he was drafted by the Tri Cities Blackhawks, Cousy knew that he was worth more. He had a dream of playing for the team he grew up watching and didn’t stop short until he reached his goal. Many times like negotiating a salary as a new employee of a company or even going out of the way to get your name known is what it takes to be successful and put you in a position to grow. Now the true art to negotiation is helping both sides feel like it is a win-win transaction. Cousy was signed by the team of his dreams with a salary close to what he had been asking for and Auerbach thought he was taking a risk on a kid that had good basketball sense and would be a foundation for the future of the Celtics organization. Cousy was a playmaker. With the ball in his hands he could create easy lay ups for the centers and forwards in the post or find an open shooting guard across the arc. He himself averaged 20 points a game throughout his career. But an impressive statistic is that he was a 8 time assist leader in the league. He thought more about the sake of his team than he did about his personal statistics. And his team enjoyed six NBA championships because of that mentality. To achieve success in life it is important to have a good team and supporting cast. Cousy was 5’8’’. His smaller quicker play was dynamic but he couldn’t win games based solely on one style of ball movement. He realized that even though the rest of the NBA was familiar with post moves and established shooters, Cousy needed players like that to support him. Auerbach drafted forward Tom Heinsohn and defensive center Bill Russell. With Cousy running the point, he now had height to help him create fast breaks and create more opportunities when the defense would crash. This team won five consecutive championships. In 1954 Cousy established the Players Association to give more voice to the players that had worked so hard and had been paid so little to entertain the American people and do what they loved. With this association Cousy tried to establish equal rights for players for both white and blacks. Cousy had been known to always accompany his colored teammates on buses as well as stay in different hotels with them when racist owners of said establishments did not allow them to stay with the rest of team. He remembered his roots and stayed true to who he was back from the stickball days in Manhattan. He knew that he was the man he was because of his childhood.